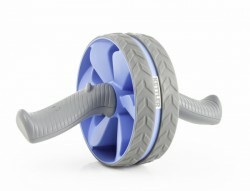 The Kettler Ab Roller abs trainer is a very good accessory for abdominal muscle training. Thanks to the head support, the neck is relieved. The Kettler Ab Wheel is an efficient and compact abs machine. Being supported on the knees, you grasp the handles of the abs machine and roll as forward and backward as possible. The stretching and the simultaneous contraction of the whole trunk muscles make the training that effective. Balance and coordination are supported and challenged. Either sit-up or ab roller; we supply the Kettler ab machine you need to achieve quickly and efficiently your targets. We offer you Kettler ab machines for abdominal muscle training on the floor, so called ab rollers as well as training benches for sit ups and crunches. Sit up bench or ab roller - which Kettler ab machine is best for me ? Ab Rollers support the torso in doing the correct course of motion for abdominal muscle exercises. The big advantage of this kind of Kettler ab machines is that false postures are prevented.Therefore, Kettler Ab Rollers are also ideal for starters, who are not used to correct courses of motion yet. 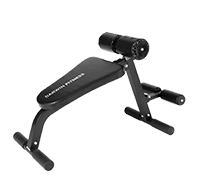 Kettler Sit up benches offer the big advantage that you are on an upholstered base with the back while you are doing abs training. 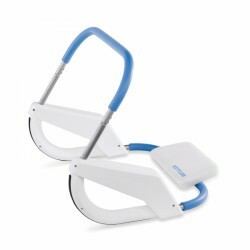 This makes the training with a Kettler ab machine very gentle. 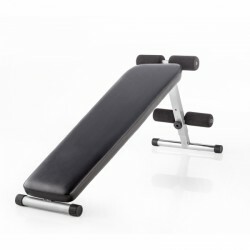 Due to the oblique incline of Kettler Sit up benches, the degree of difficulty is increased causing a higher efficiency of your abdominal muscle exercises.